/INS. 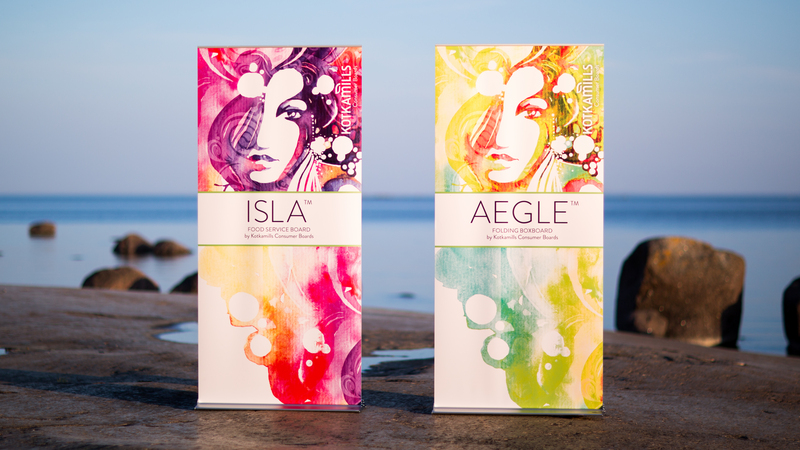 Helsinki, FINLAND 02.06.2016 9 a.m. CET - Kotkamills is launching its new range of consumer board products: the folding boxboard range will be covered by the AEGLE brand and the food service range by the ISLA brand. The standard board ranges will be launched in July 2016 when Kotkamills’ new board machine starts. The option of water-based dispersion coated barriers will be added in the Autumn. The new machine will for the first time allow barrier coatings to be applied directly on the cartonboard machine as part of normal production. “Brand owners and designers are constantly looking for new and better options for creating attractive packaging while answering to the growing consumer demand for ecological products. With AEGLE and ISLA, we offer both sustainable and cost effective solutions that do not compromise the freedom to create unique designs,” says Markku Hämäläinen, CEO of Kotkamills. “With our next-generation barrier boards, it is possible to use the normal paper recycling process, as they are fully recyclable and repulpable. The board itself is manufactured paying special attention to utilising wood raw material effectively, as well as minimising environmental effects with the help of the latest available technology,” Hämäläinen continues. Kotkamills’ folding boxboard AEGLE is suitable for various packaging needs from cosmetics and pharmaceuticals to dry, chilled and frozen food and general packaging. Although lightweight and bulky, the board offers high stiffness. 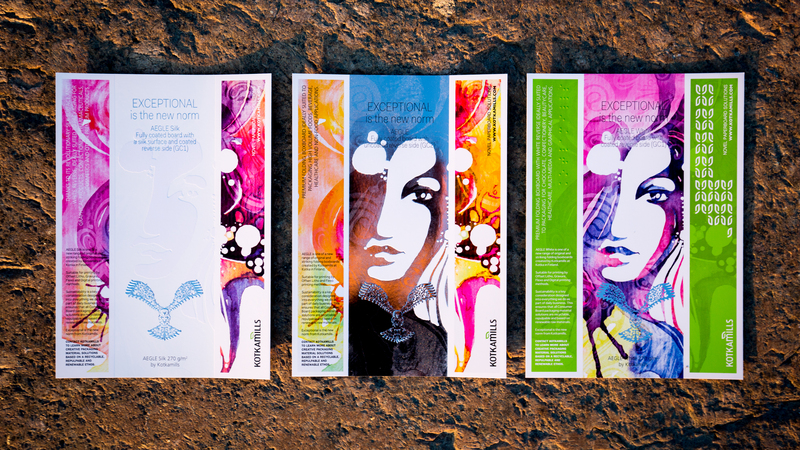 In addition to standard fully coated glossy surfaces, Kotkamills are offering a unique silk matt coating that makes the surface of the board very even and smooth, offering excellent printability as well as enhancing the use of various special effects, such as lacquering and foiling. AEGLE folding boxboards will be available with and without recyclable barriers. The ISLA product range is intended to be used for the production of food service packaging, such as disposable cups and plates. The fact that the dispersion coated barriers used are fully recyclable and repulpable means that after use, such paperboard cups and plates can be easily disposed of along with normal paper waste. This means that a valuable, high quality fibre source can be recovered and re-used instead of being thrown away; unlike the more normally used plastic coated barrier cups and plates. The raw material for all Kotkamills’ board products are procured from certified Nordic forests.